'Everybody Stretches' Without Gravity: Mark Kelly Talks About NASA's Twins Study : The Two-Way Kelly says his twin brother, Scott Kelly, who just returned to Earth after 340 days in space, was temporarily 2 inches taller. NASA is studying the pair to explore what spaceflight does to the body. 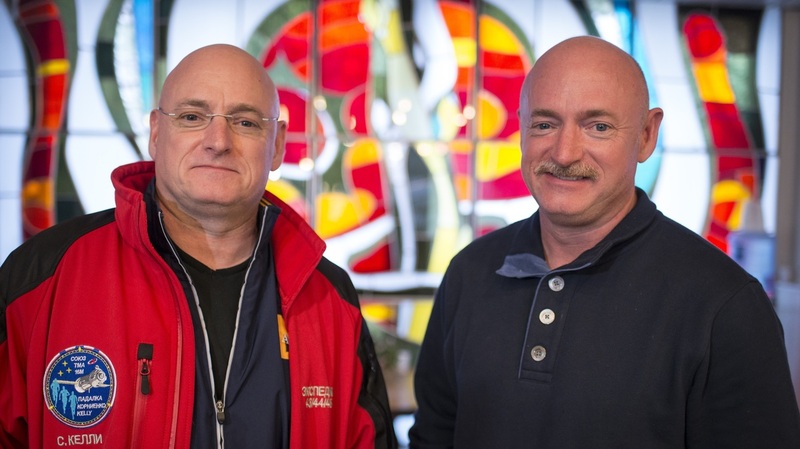 Expedition 43 NASA astronaut Scott Kelly (left) and his identical twin, Mark Kelly, pose for a photograph in 2015 at the Cosmonaut Hotel in Baikonur, Kazakhstan. When astronaut Scott Kelly's space capsule touched down in Kazakhstan, it was a familiar scene to Mark Kelly, who is a retired astronaut and Scott's identical twin. NASA is conducting a "twin study" on the brothers to explore what spaceflight does to the body. Multiple universities are involved in the research. "We're going to need to understand this really well before we decide to send people to Mars on an extended mission," Mark Kelly tells NPR's Renee Montagne on Morning Edition. For the study, he acts as a control to compare to his twin, who broke the U.S. record for longest space journey. Kelly says one part of the study will look into the impact of space on aging. "One of the universities is studying a genetic indicator of how people age, and that's the length of your telomeres. So the length of your telomeres is indicative of your physical age," he says. Researchers are looking into whether that physical age is linked to the significant amount of radiation that astronauts are exposed to in space, Kelly says. He adds: "I'm not the scientist here, but I would presume the radiation would have a negative effect." As NASA explains, "The most dangerous aspect of traveling to Mars is space radiation. 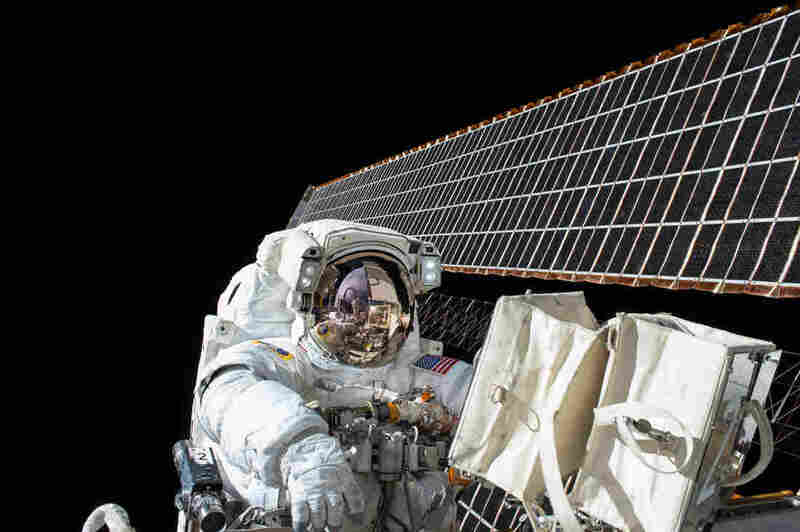 On the space station, astronauts receive over 10 times the radiation than what's naturally occurring on Earth." "Research from the molecular level to whole body function to brain function is being integrated together into one, coordinated study"
While his brother was in orbit, Kelly was providing NASA with his data for the study, including MRIs, ultrasounds, and blood and urine samples. "In space without gravity, everybody stretches. But when you get back to Earth, gravity has this effect on you and it pushes you back. So by the time he got back to Houston, they actually measured both of us at about 3 in the morning after he got back and we were exactly the same height again." "You know, he's pretty sore right now and he's tired. People don't sleep particularly well in space. And you know, a lot of hard work and then the fiery return in the Soyuz capsule. So he obviously doesn't feel 100 percent. Except his neurovestibular system is really, really good — I mean, you would expect somebody after that period of time to be dizzy and have balance issues. He doesn't have balance issues. He doesn't have any of that. So he is doing remarkably well."